The experience economy was unveiled as a key focus during the Asia Pacific running of Aruba Atmosphere 2018 in Bangkok, as the vendor outlined channel priorities for 2018 and beyond. 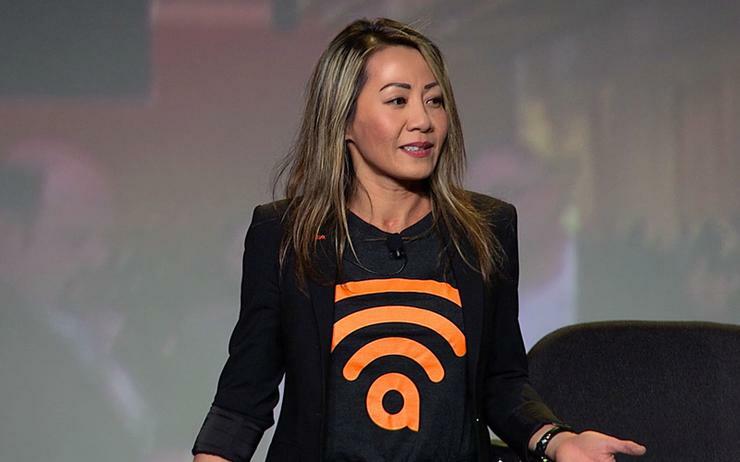 "The opportunity is there for partners to create value on top of the experience platform,” said Janice Le, chief marketer at Aruba Networks. “There is a two-sided opportunity for channel partners. "There is the traditional network opportunity and then there is the more line of business applications-centric opportunity." According to Le, the application-centric opportunity exists where the infrastructure meets the applications. "To create the experience for users, the experience has to be user-aware, application-aware, and location-aware," Le explained. "The partner has the opportunity to take all of that information that we provide via the network and integrate it with the application and therefore the end-user experience and what they are trying to accomplish." "I would say that area is more appropriate for partners who are already investing in things like software and artificial intelligence and they are already serving the line of business customers." In regards to the more ‘traditional’ channel partner, who has a focus on the networking side, and perhaps does not have the application level expertise, Le said opportunities still exist to leverage the platform. Chiefly because the network is cloud-architected and cloud-enabled, it is designed to help IT scale rapidly. "Partners can leverage our platform and all the automation that comes along with it to deliver those services and help with the monitoring and troubleshooting and help the customer to scale,” added Le. How big is the APAC opportunity for channel partners to leverage the experienced economy? According to Le, it is huge. In fact, there is a much bigger opportunity within APAC than in any other region, primarily because of the regions demographics and the size of the population. "I believe the APAC region is more advanced or further along in the experience economy,” explained Le. “Part of that is because APAC has a larger population of Gen Y. "They are the digital natives, they are mobile natives, and they do not know anything different. They are born with a set of expectations that many of us were not born with." In fact, Accenture estimates that by 2020, 60 per cent of the world’s millennials is expected to live in Asia, providing a significant opportunity for organisation’s who target this demographic. "The experienced economy is something that gives them new experiences that augment traditional experiences that we are used to; going to the store, etc,” added Le. "If you look at Asia with their very large population of Gen Y, they do not know what traditional experiences are, right? Most of them, for instance, will not want to own a car, whereas people of an older generation raced to get their driving licence." "Their expectations are around not just having experiences everywhere they go on their mobile device that is personalised but it also needs to be a commitment-free experience." For Le, the experience economy does not require them to own anything or acquire physical assets. "We have to think more about making giving them the benefits of digital but helping them appreciate what happens in a physical environment that can be accomplished in the cloud,” Le added. The experience economy is not meant to take away the concept of going on vacation, for instance, or going to school (just yet), or even going to the hospital, but it is about augmenting these experiences. "What you have to think about if you are a hospital, school, or hotel is how do you offer all the same benefits that digital offers you but make it meaningful in the physical world,” said Le. And because the APAC region is so rich with those different types of properties and the population is much bigger than the US, for instance, it is a much more fertile ground for the experience economy.